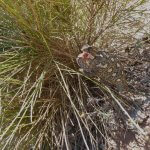 A local shepherd has been found dead in the high mountains above Turre. 51 year old Paco usually returned his goats to his shed late at night and returned home at around midnight, but last night he did not come home and eventually his family alerted the emergency services. Police and the fire brigade were out searching for him all this morning and eventually found his body in a high canyon above Turre. It was impossible to get to him, and so the helicopter that we heard earlier this afternoon was a Guardia Civil rescue copter called in to rescue his body from the crevasse. It is initially thought that he fell last night in the dusk as he returned home with his flock. This entry was posted in Blog and tagged cabrera, canyon, death, mountain, shepherd, turre by David. Bookmark the permalink.